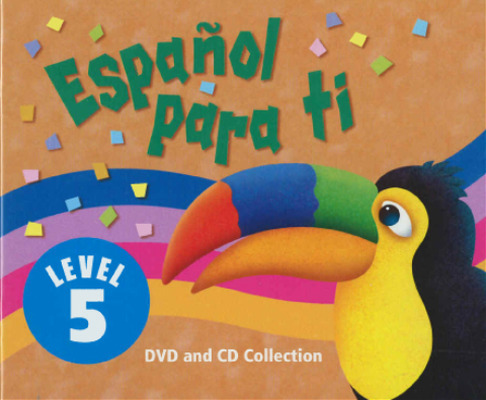 Prepare students for a multicultural world and meet parental and state expectations with Espanol para ti, a five-level, video-based system for teaching Spanish in the elementary grades. 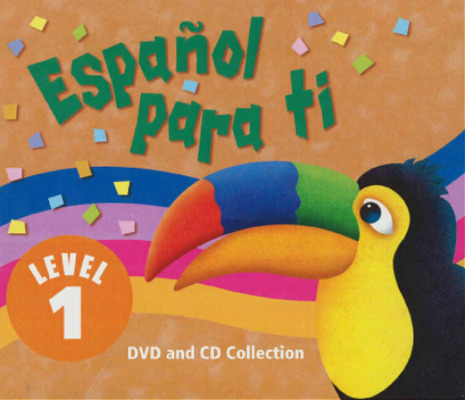 Designed to fit into any regular classroom and schedule, Espanol para ti teaches the basics of Spanish and reinforces essential content in mathematics, language arts, social studies, science, art and music, career awareness, and health – all the things teachers already teach! 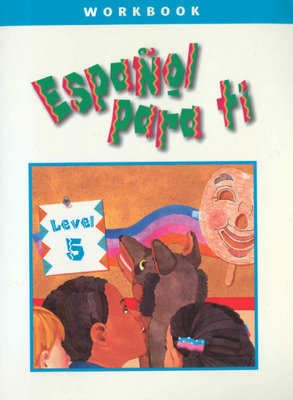 Espanol para ti employs a "spiral" method of teaching. Material is usually introduced in one lesson, practiced in several succeeding lessons, dropped for a while, and then practiced again. New material is always introduced in the context of known vocabulary and explanations are always given in English so no one is ever lost. The videos are the heart of the program and you, the classroom teacher, are the facilitator who watches the video with the children and responds along with them. The on-screen video teacher introduces small amounts of information at a time, and she explains in English what is happening. Before long, you'll discover one of the great benefits of using Espanol para ti is that you'll be learning Spanish along with your students! Videos serve as the core of the instruction. Programs for Levels 1 and 2 consist of DVDs containing 66 fifteen-minute video lessons. Programs for Levels 3-5 consist of DVDs containing 60 twenty-minute video lessons. Puppets and a variety of visitors help the vivacious video teacher, la maestra, introduce and practice Spanish. Children don't just sit and watch. Songs, games and other activities are part of the program. Written for the regular classroom teacher, each two-page spread presents a complete lesson plan. Additional suggestions are provided for teachers with more proficiency. The Teacher's Manual makes no assumptions that teachers speak Spanish, so any teacher can easily follow the step-by-step directions for presenting each lesson of Espanol para ti and coordinating the use of the many support materials. All the Blackline masters teachers need for the activity lessons. 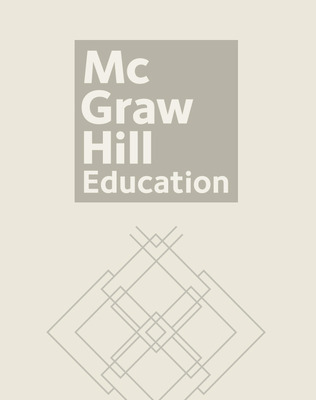 Provides formal assessments to be used at the end of the semester and the end of the year, and a rubric for holistic evaluations. Reproducible parent letters in the Resource Book enable you to build community support for your program. Activity CDs provide listening and speaking activities that coordinate with and reinforce the video lessons. The Song & Assessment CD contains lyrics and translations for all songs appearing in the DVDs and in each lesson of the Teacher's Manual. Designed to support Levels 1-4 of the program, the Visuals Package includes two sets of seventy-five Flash Cards that are used in activities and for vocabulary reinforcement, posters for classroom activities and to brighten up the classroom, and two soft and friendly hand puppets that children love. Seventy-five large, full-color flash cards are ideal for introducing, practicing, and reviewing vocabulary. Consists of five short stories featured on various segments of the DVD. 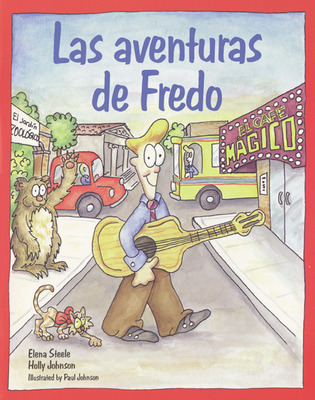 Stories feature the lovable character Fredo and his adventures in a music store, at a magic cafe, in the city, at the zoo, and looking for his feline friend Mimi. Created for reading practice and vocabulary reinforcement, these original stories reuse concepts and themes introduced in the DVD lessons. 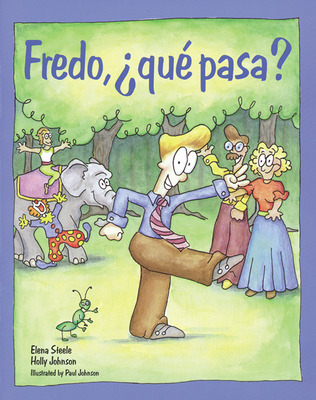 Español para ti Level 5, Reader: Fredo, ?que pasa?